Here are this week's SYNC books. 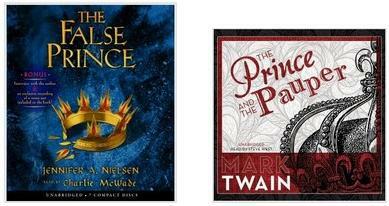 The False Prince by Jennifer A. Nielsen and The Prince and the Pauper by Mark Twain. I have already read both but it will be fun to read them again with my ears. By the way, The False Prince is available for $3.50 for your Kindle and The Prince and the Pauper can be had for even less. So many people have been saying good things about The Distance Between Us by Kasie West that I decided I had to have a copy so that I can see for myself what the buzz is all about. 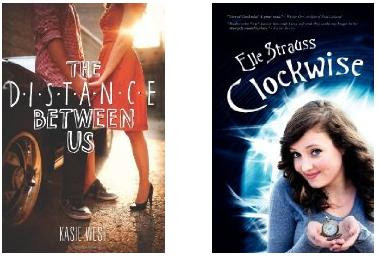 Clockwise by Elle Strauss was a free book for my Kindle that sounded good. 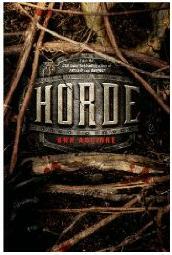 I got a second copy of Horde by Ann Aguirre for review from Macmillan Children's Publishing Group. I had received my first copy, also from them, on May 20. However, this one came with a cool cloth patch. Also arriving from Macmillan this week was a CD with a playlist for This Song Will Save Your Life by Leila Sales. I have to say that I have only heard of two of the artists and am totally unfamiliar with the music. If liking the book is dependent on being familiar with the music, I'm in trouble. I've had the book on my review stack since May 16. I absolutely loved The Distance Between Us. Caymen was the perfect amount of snark to Xander's swoons. Great haul, I hope you enjoy your new reads, and I'm jealous of that CD. The Distance Between Us is on my TBR, I hope you enjoy it! Horde looks really good. I really enjoyed Enclave very much. Happy reading :) Thanks for stopping by. Awesome haul - I reallly enjoyed Clcokwise, it was so cute! I noticed on inside of a Dog you got Sunshine by Robin McKinley which is one of the only vampire books i can say that I love! I love The Distance Between Us's cover. Great picks this week. Thanks for stopping by. That is really neat that the publisher included a CD with the playlist but like you, I hope the playlist isn't necessary to understanding or liking the book. 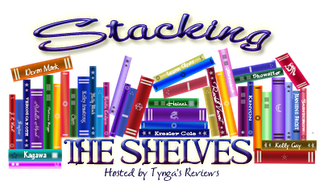 Great stack this week. I have The Distance Between Us on my TBR list. Happy reading! Lots of awesome stuff!! Enjoy reading them! I keep seeing Clockwise on Amazon. It sounds interesting. Hope you like it! So jealous that you got a copy of Horde! I love that series. Hope you enjoy it! You are so lucky to get Horde. I'm envious of your haul. Come visit me as well. Great haul! I cannot wait to start The False Prince, looks so good. The Distance Between Us sounds good!